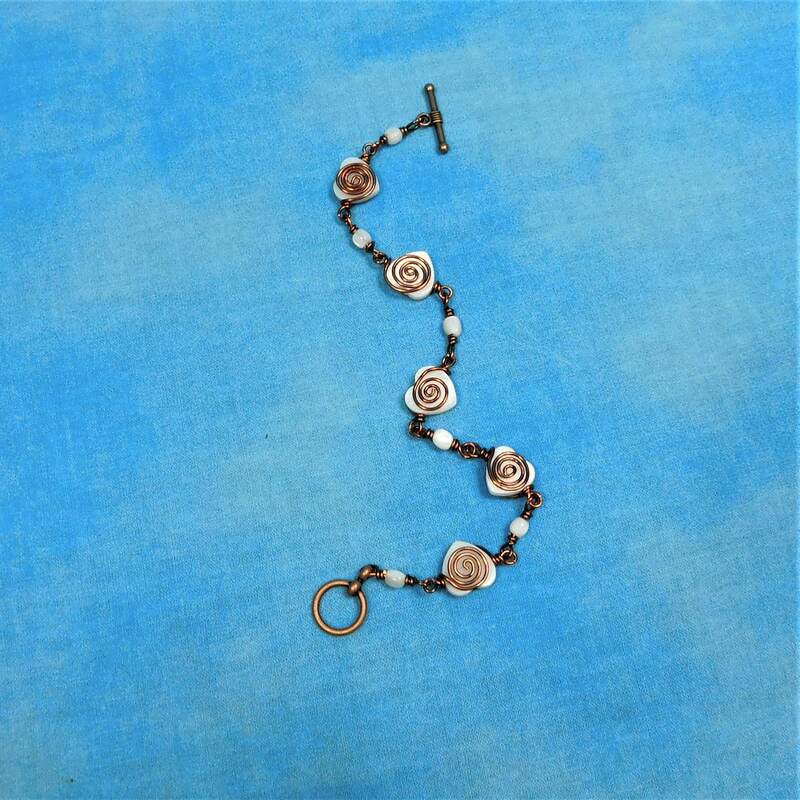 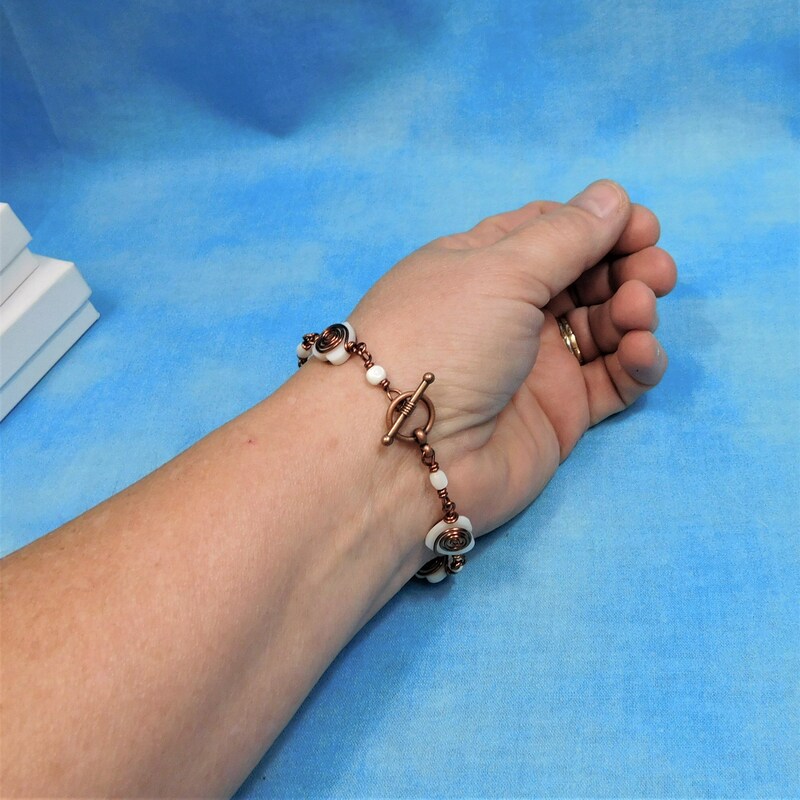 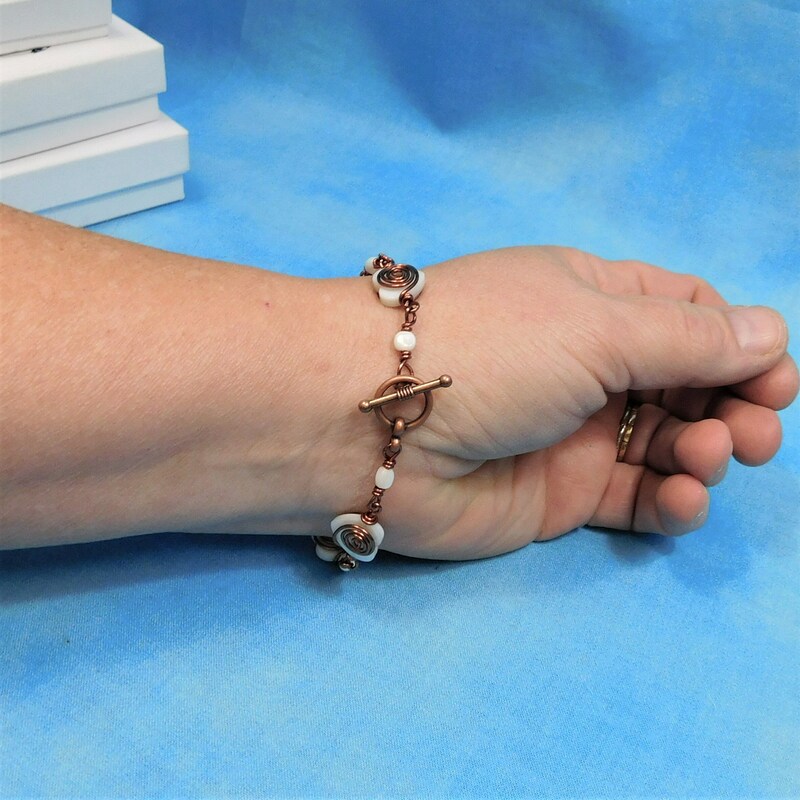 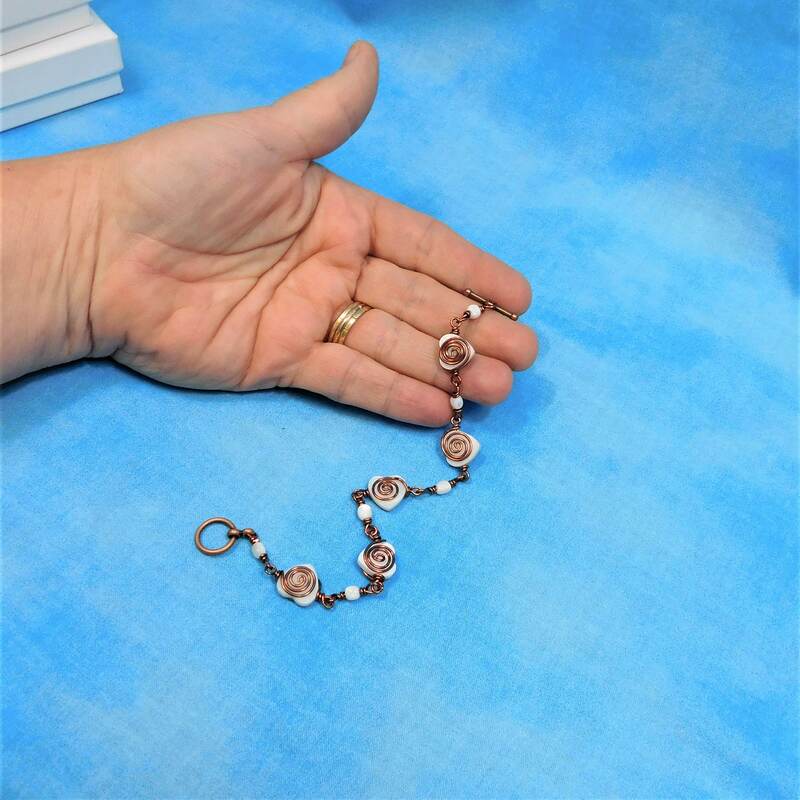 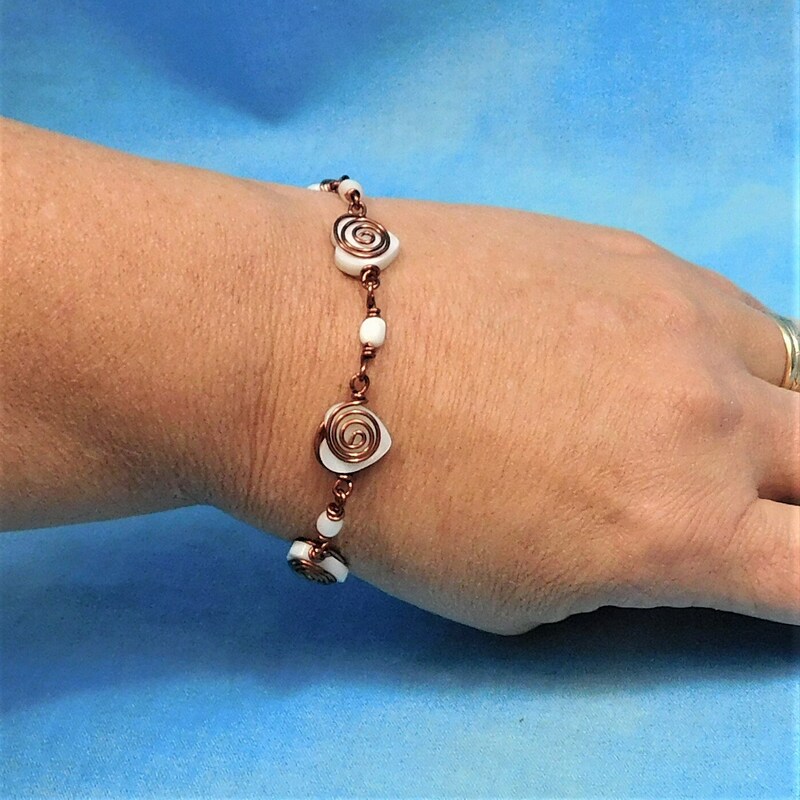 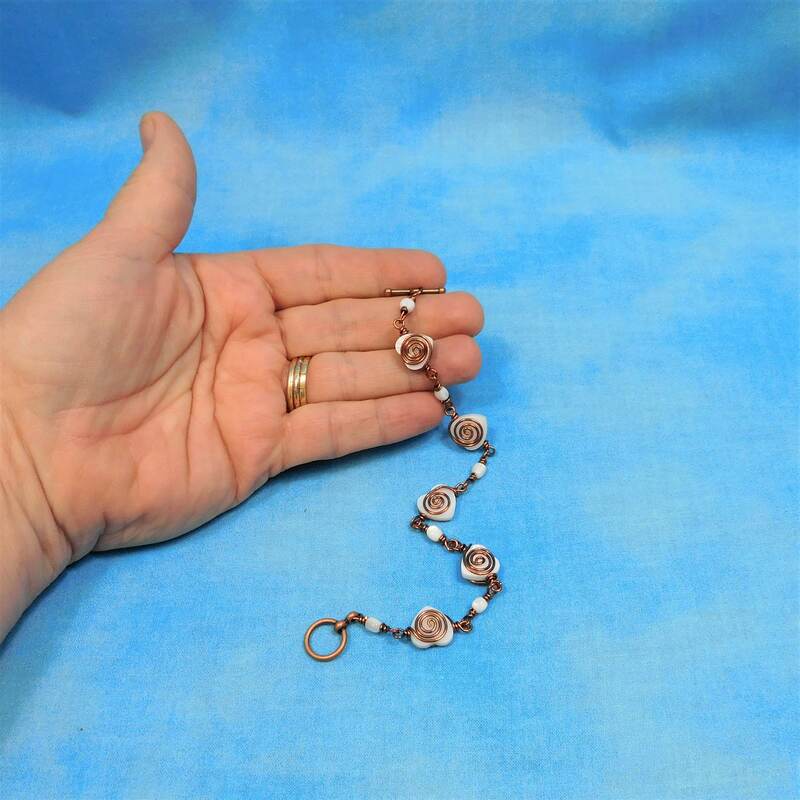 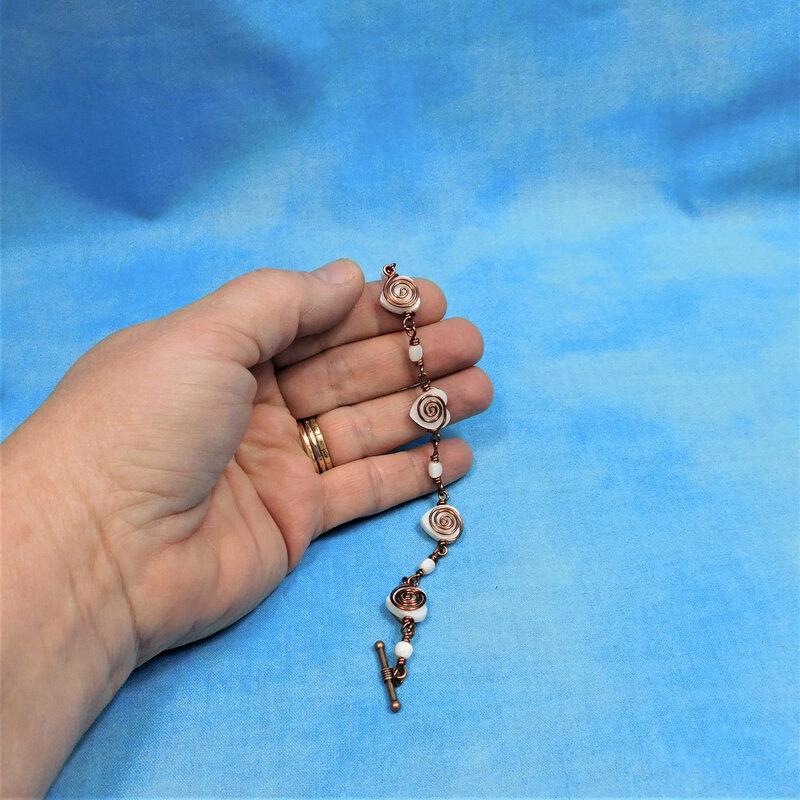 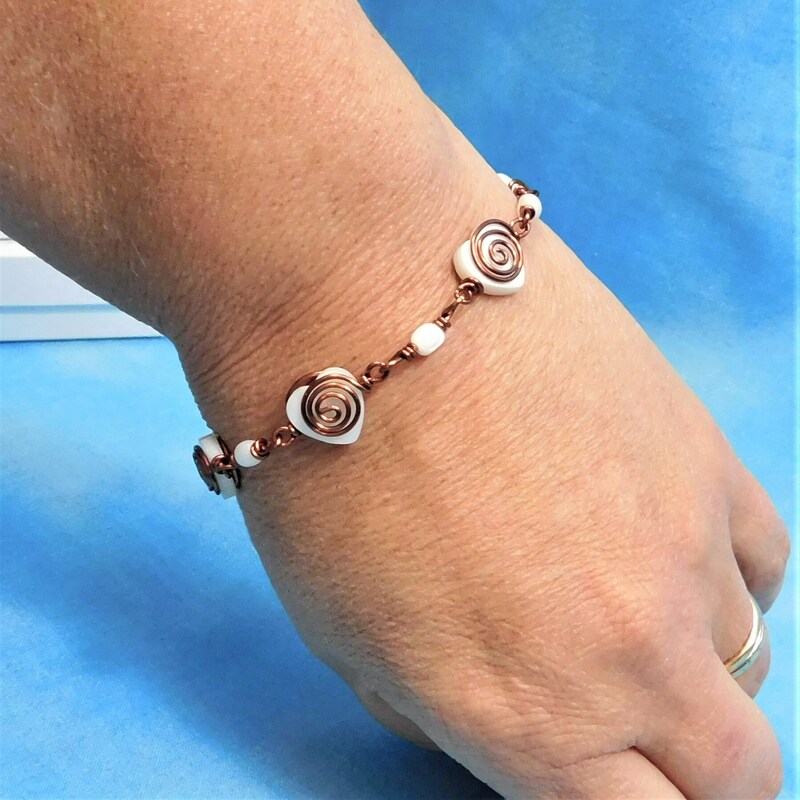 This is a 7 1/2 inch bracelet fashioned with mother of pearl hearts, hand wrapped and linked with anti tarnish copper wire, and finished with a coordinating toggle clasp. 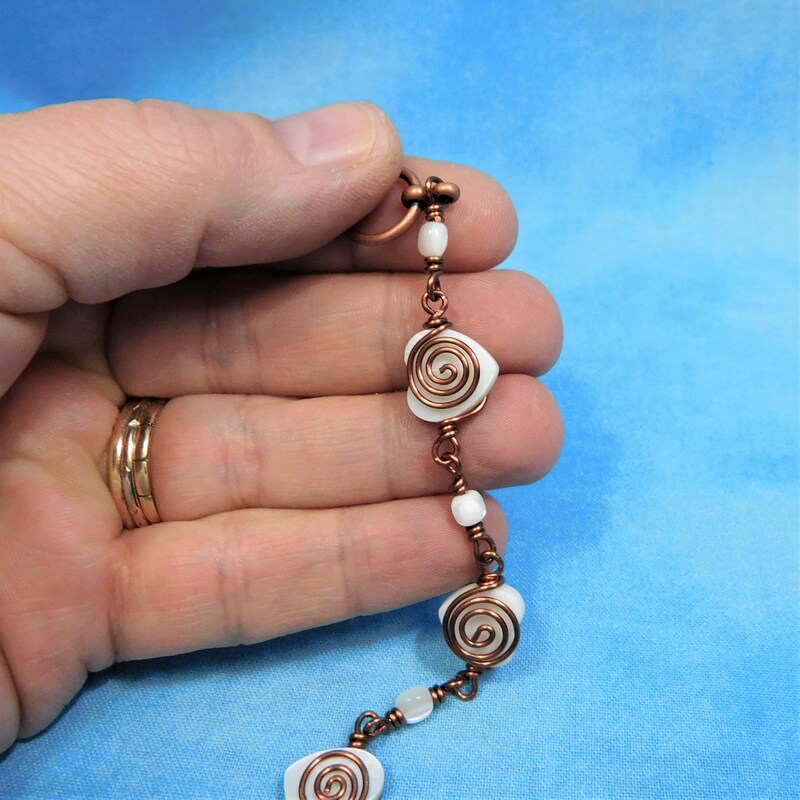 This is a rustic, beautiful piece of jewelry that any lovely lady would enjoy wearing. 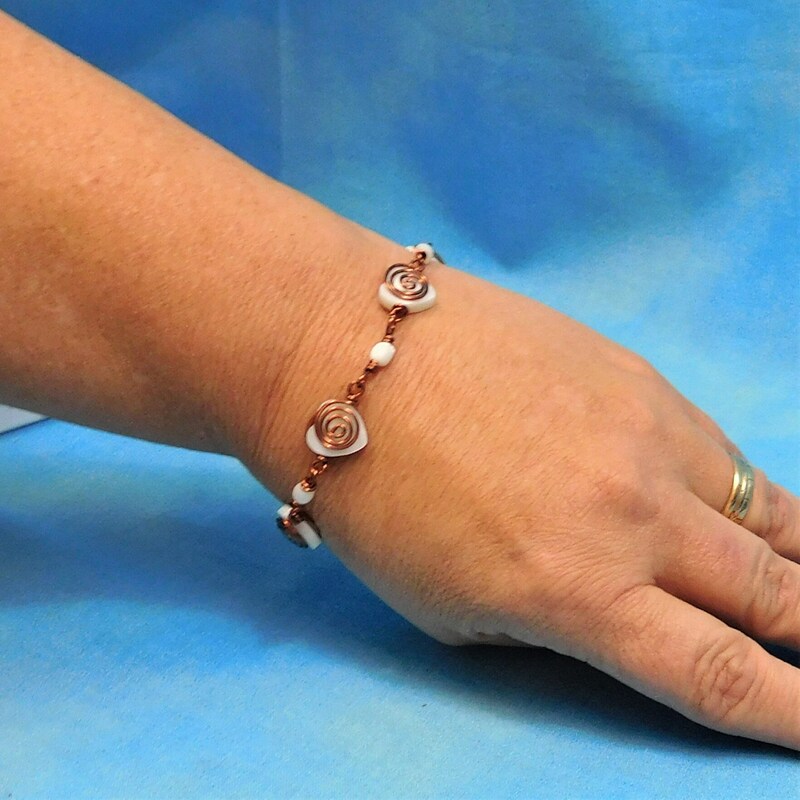 The mother of pearl hearts have a nice luster that contrasts with the vintage feel of the rich copper wire.